Get Answers to Your Most Commonly Asked Questions About Injury, Criminal, Divorce and Civil Law in North Carolina. Questions about an important legal matter involving an injury claim, a criminal charge in state or federal court, a divorce or custody issue or a civil litigation case? We answer many of your questions here. This is not intended to be a substitute for legal advice. It is designed to give you the information you need to get started and to be knowledgable about the process so that you can make good decisions about your case going forward. I live in Wrightsville Beach, North Carolina. I am considering divorce. I am worried about how my divorce will affect my relationship with my children. I have heard of Temporary and Permanent Child Custody. What is the difference? Immediately following a separation, the parents may go to court seeking a Temporary Custody Order. Temporary Custody Orders are usually based on brief or condensed court hearings with specific rules providing limitations on the evidence that is presented to the court. Usually, only the parents testify. Other evidence is received by the court in the form of sworn affidavits from witnesses. The judge will issue an order that establishes a schedule of child custody. The order will set out which parent has the child(ren) at what times. It may contain other important determinations, as well. Later, the court may conduct Permanent Custody Hearings. Permanent Custody Hearings are longer, and usually more involved. Parents, witnesses and experts are permitted to testify. The judge will issue a “permanent” custody order following the hearing. Even though the resulting order is referred to as “permanent,” it is important to know that a party can always return to the court seeking a modification of custody. However, these hearings and orders are very important. 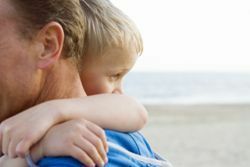 Later, if one party seeks to change the permanent custody order, he or she is held to a different standard in a modification hearing than they had at the initial custody determination. 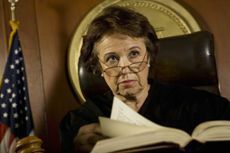 In addition, the temporary and permanent custody order will establish a pattern of parental contact and involvement that judges can be resistant to break. You can speak with a knowledgeable divorce and family law attorney who can explain and advise the legal standards of proof based on your specific situation in New Hanover County, Pender County, Brunswick County, Wilmington, Hampstead, Wrightsville Beach, Carolina Beach, or Hampstead today.